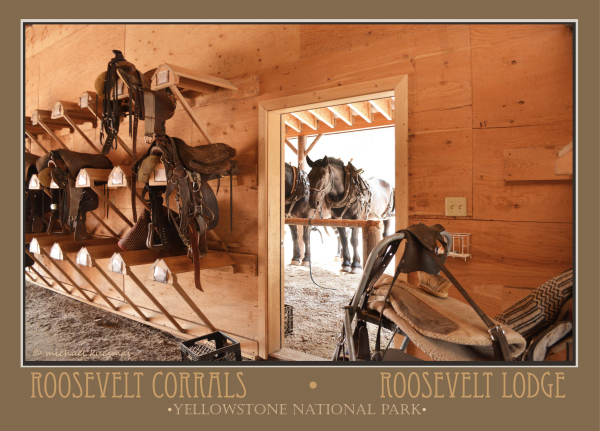 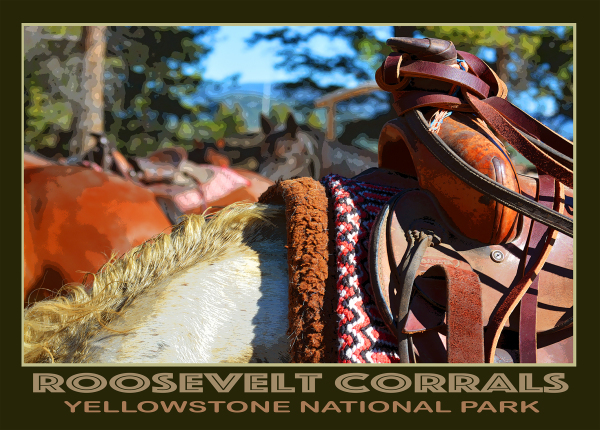 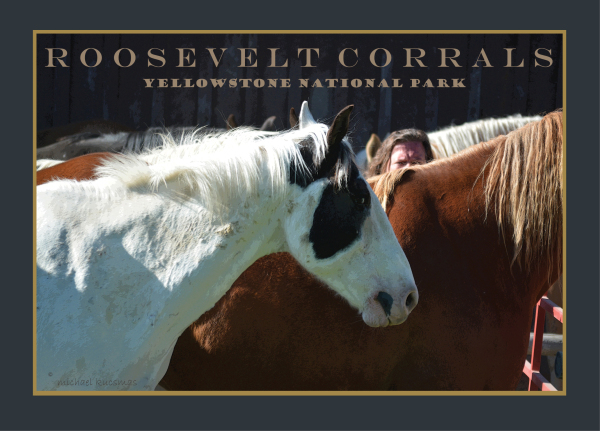 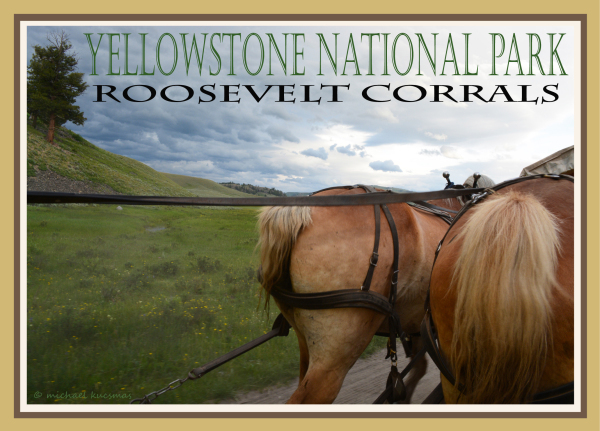 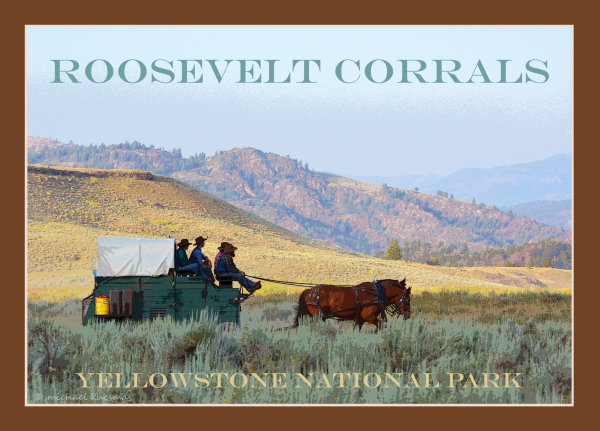 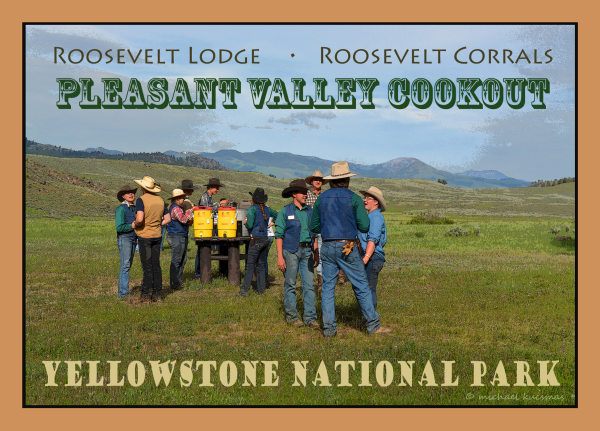 The Roosevelt Corrals are Yellowstone icons right alongside geysers and grizzlies. 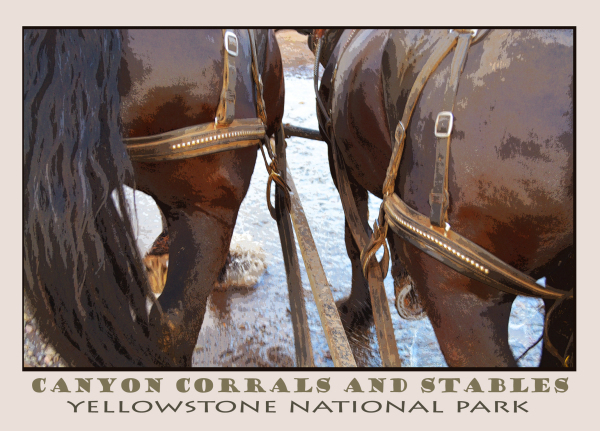 I see these as a new appreciation of America's first National Park. 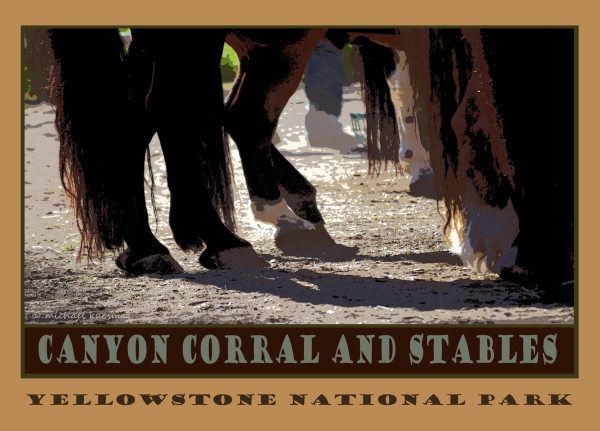 I like poster art. 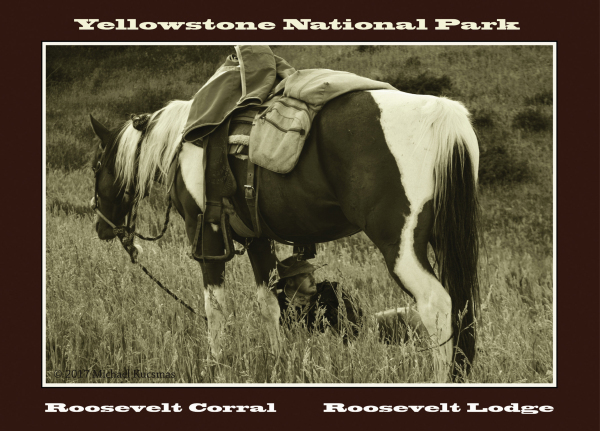 It not only shows a picture of something, but it also adds words or a description to a picture. 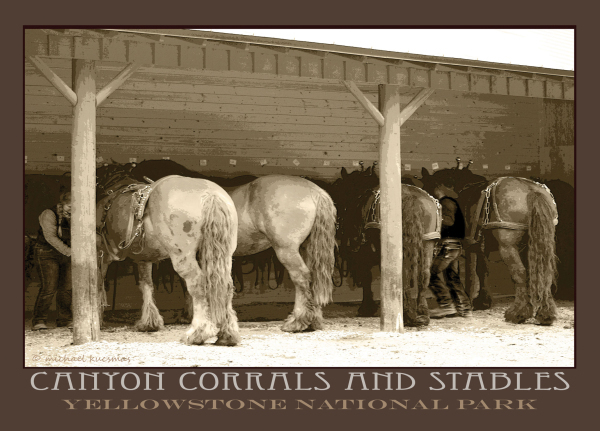 Say the word “posters” and I think of old circus posters or music posters of the 60’s. 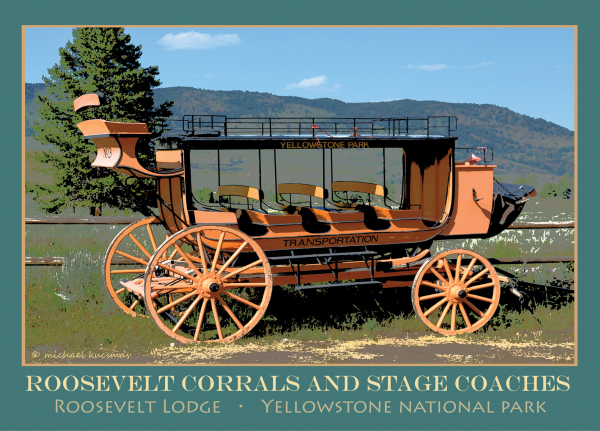 Or I think of pre-WW II French and UK posters which advertised in big ornate letters and mini-stories. 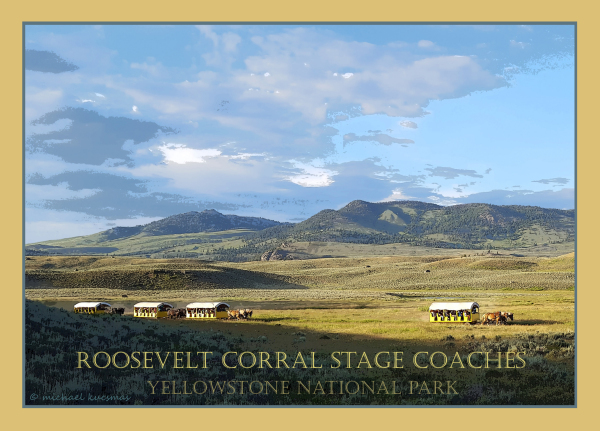 All the good stuff in art, in my opinion, is in a poster. 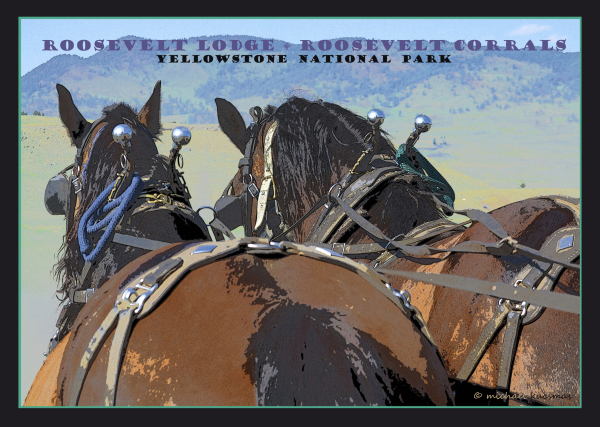 Good stuff, as in color, typeface, human faces, people, animals, landmarks, words, names, design; it’s all there. 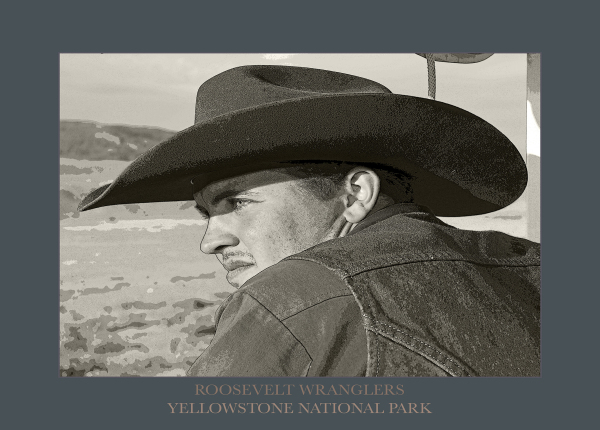 I’m enamored with the American west and the history and brand of the old West and its familiar stranger, the cowboy. 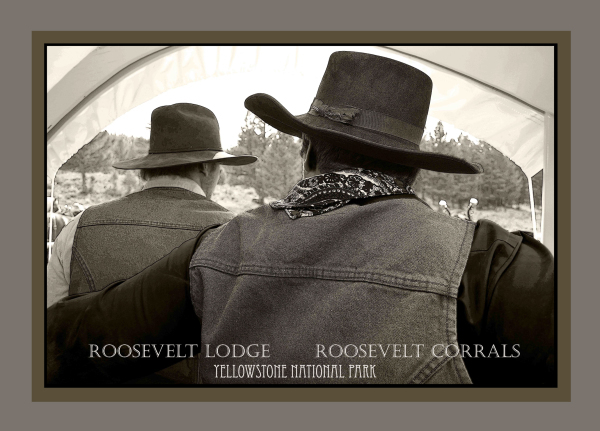 I was invited a little further into this cowboy realm when in 2017, I received the opportunity to go live and work for six months at Yellowstone National Park. 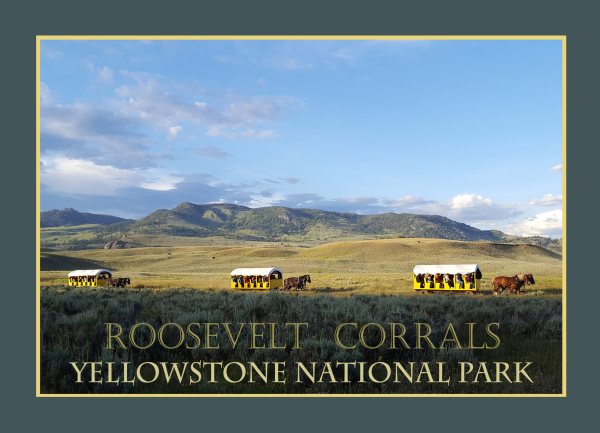 I stepped into a very near-perfect setting to take photographs of a place that is hidden beneath the radar of most who travel to Yellowstone; The Roosevelt Corrals. 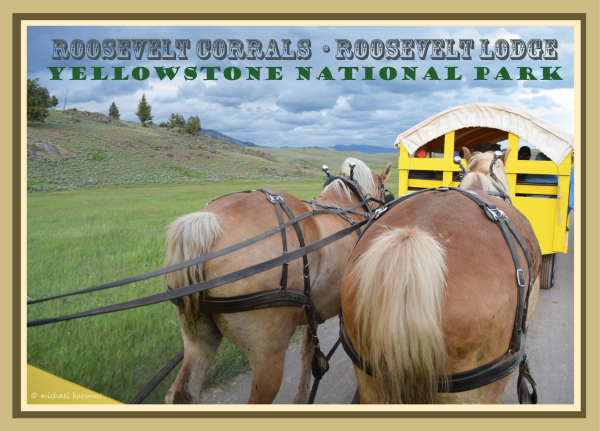 Thousands of visitors travel to the corrals from all parts of the world to take saddle rides, or to ride behind the star attraction, the stage Coaches drawn by teams of Belgians or Percherons. 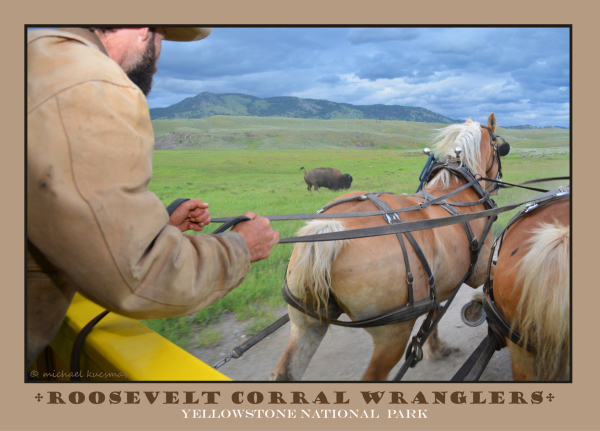 Drivers would take excursionists on stage coaches down a road sometimes thick with herds of bison through valleys near the Yellowstone River to a spot for a cookout with music and tall-tales told by some pretty good wrangler story-tellers. 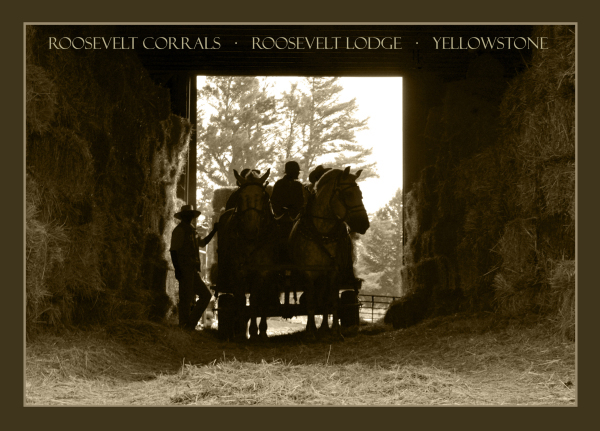 For six months I lived with horses and wranglers. 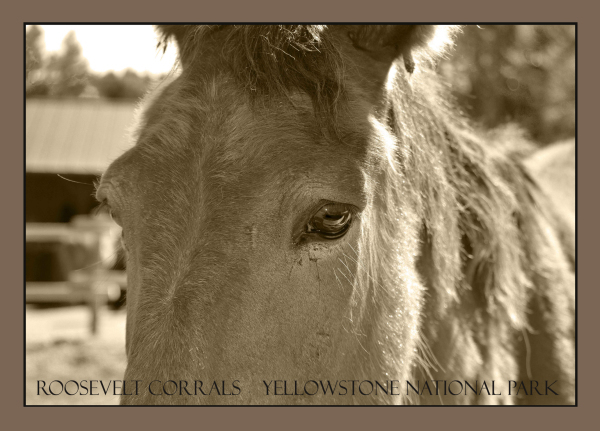 I made many new friends through my camera lens and through music. 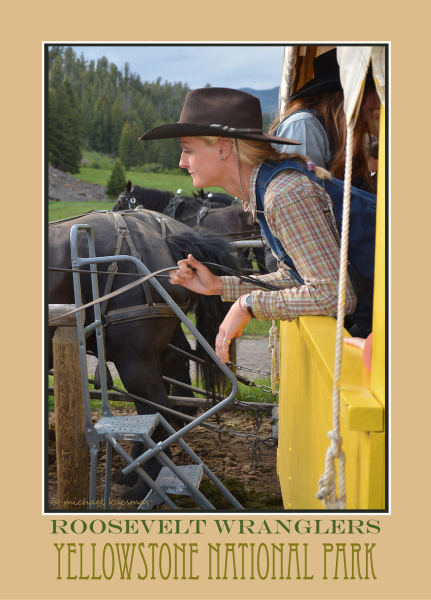 I took lots of photos. 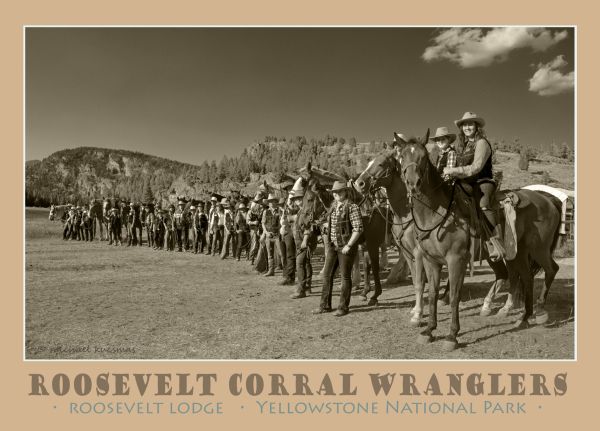 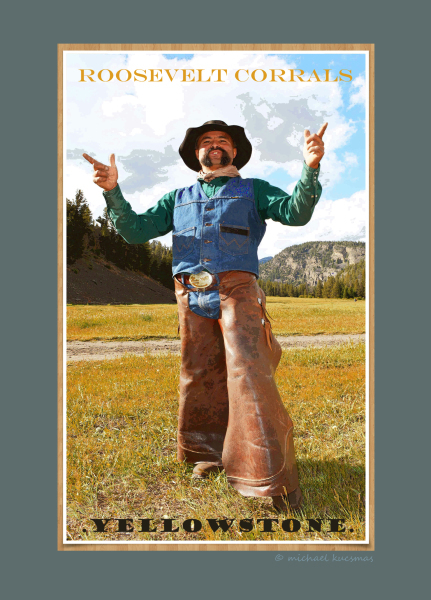 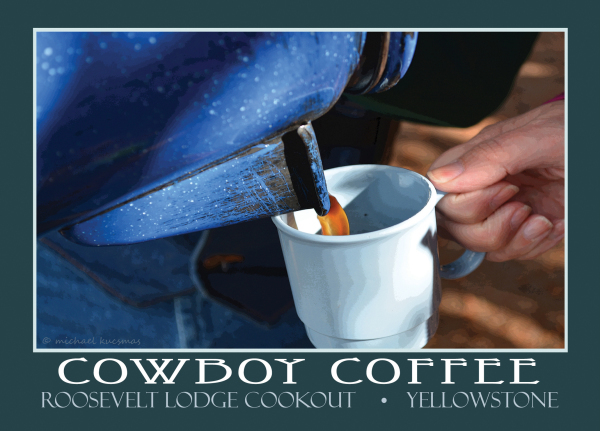 I’m now presenting many of these best photos as high quality, original, photographic posters in homage to that place, the people and those “big dogs” of the “Yellowstone Roosevelt Corrals”.